The bills should not be issued earlier than 2006. Otherwise, at some places people don´t want to accept them. You can change dollars for shillings just in Stone Town (I have seen one exchange office in Nungwi too). So if you plan to travel around the island, try to change the whole amount of money which you’ll need during your stay in Zanzibar. I have one good friend from the nearby city, Dar Es Salaam, so he exactly knew which conversion rate would be fine for me. We were in Zanzibar in December 2015 and the conversion rate was 1 USD = 2170 Tanzanian Shillings (in Stone Town). For comparison, the airport offered us for 1 USD = 2000 shillings. When changing a larger amount of money, the difference of 10% is quite high. When buying meals at the restaurants or souvenirs on the beach in Zanzibar, it is always better to pay in Shillings. This is because, if you pay in dollars, it will be converted again with unfavorable exchange rate. In this case the conversion rate would be again 1 USD – 2000 shillings. However, if you book a taxi or some of the trips offered around Zanzibar, then usually you would pay in dollars. Normally, the prices in the restaurants in Zanzibar are in shillings, but for example at some places like Matemwe, all prices in restaurants were in US dollars, which of course increases the costs. 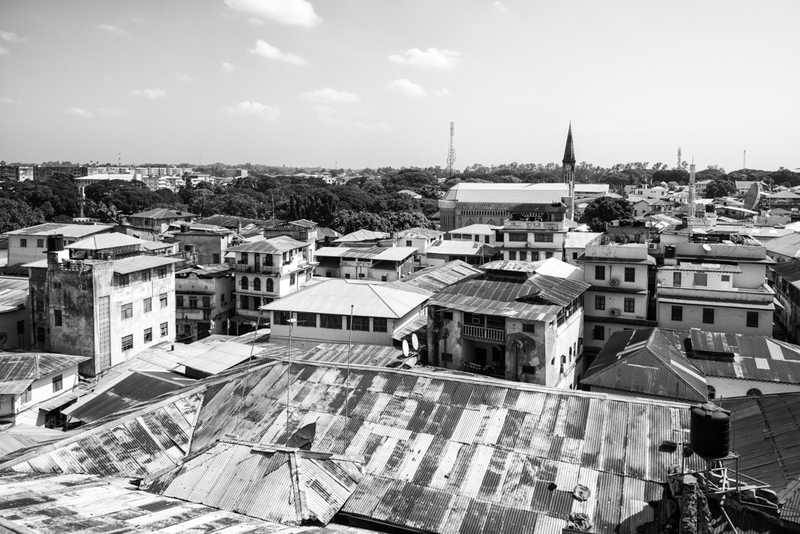 Where can you find the exchange bureau in Stone Town? We were staying at the Tembo House Hotel, 200 meters from there is a small street where you can find two exchange offices. Just ask in the reception at this hotel (do not change money directly at the hotel). Both offer good rates and you don´t pay any commission. Be careful that the exchange rate is better using 100 USD banknotes (1 USD = 2170 TZS), but if you change smaller bills like 50$, 20$, 10$, then your rate will be lower (1 USD = 2135 TZS). The best option is to carry both currencies (shillings and also dollars). Normally (if you don´t have a half-board meal plan) two people can spend daily from 70 to 100 USD. Of course, this does not apply to the most luxurious hotels, where you can spend 100 USD only for lunch. What are the prices of food in Zanzibar? The prices vary in every restaurant. The average cost of one meal is 24000 TZS (11 USD). For that price, we ate at the 4 star hotel. However you can find a small hotel or local restaurant on the beach where you can eat from 6-8 USD without problems. Do you like seafood? The best place where to eat seafood in Stone Town is the local market in Forodhani Gardens. Here, every day from 6 in the afternoon, you can taste everything that can be found in the sea. Everything is as fresh as can be. What fishermen caught during the day, in the evening they do barbecue and sell the seafood on the wooden sticks. It is a popular place where to eat for the tourists and for locals as well. Be prepared to negotiate the price. One stick with the lobster could stand about 10 000 TZS, which is less than $5. But, you can negotiate the price for 8000 TZS. For the same meal in a hotel you could pay $12 on average, and in better hotels it could be even more. For a crab we negotiated a price of 15000 TZS (7 USD). This is a pretty good price, don’t you think? If you are in Stone Town, then taste the seafood as much as you can. There are major differences in the prices of drinks. For example Cola. From a local, I learned that for a bottle of Coke, it is normal to pay 1000 TZS (50 cents). But in a smaller bar on the beach it reached 2000 TZS, the hotel price is somewhere around 3500 TZS and we have also seen coke for 2 USD, which is 4340 TZS. So the price can be 4 times higher than normal. The same applies when you buy a bottle of water. For a 1.5 liter bottle we paid $2 in one hotel, and in the second one they asked for an incredible $6. VMN is great for companies because users don’t have to spend premium costs to send messages. They are charged standard tariff prices for sending SMS to VMN. Such a quantity allows customers to deliver SMS to your software centre which is correct on your desktop. Setting up a digital phone network in your company makes inner fax sending a breeze. It also connects co-workers, departments, as nicely as remote branch offices more proficiently. This enables you to coordinate in the exact same method by assigning get virtual sms number to pick workers, departments, and distant branches regardless of location. Can they customize a method to fit your needs? Not all companies are the exact same. Your virtual telephone service requirements might differ somewhat, or even significantly, from the supplier’s regular choices. If that is the case, inquire what they can do to accommodate your particular needs. If you have not listened to of a video clip phone then you will need familiarize yourself with this fairly new technology. This has been a lengthy time coming but this technology is finally here! What precisely is VOIP technology? It is technology that essentially allows you to make a phone call and see the individual you are talking to via the internet. The best part of all of this is that the “bugs” have been all worked out because there have been several “upgrades” in the marketplace to perfect this kind of technologies. Technologies just keeps obtaining better and much better! Choose a Suitable Card: All playing cards will display up on the web site and one needs to choose for the destination to discover a choice of playing cards. Go via the variety presented and then make your choice based on your necessity. If you are a frequent caller then consider a appear at the multipack playing cards for better offers. VoIP users appreciate a selection of free contacting attributes, for which they had been billed extra with traditional phone services. Those attributes include voicemail, caller ID, call conferencing, call waiting, contact forwarding, and numerous other people. VoIP customers can have their voicemail messages e-mailed to them for easy playback and referencing; with some providers, customers can click on to contact contacts straight from Outlook. Moreover, customers can obtain additional numbers (also recognized as digital numbers) so out-of-town buddies and family associates can dial a nearby number to attain the VoIP user easily and affordably.